It’s that time again and this week we are excited to have local entrepreneur Carolyn guest posting for Recipe of the Week! 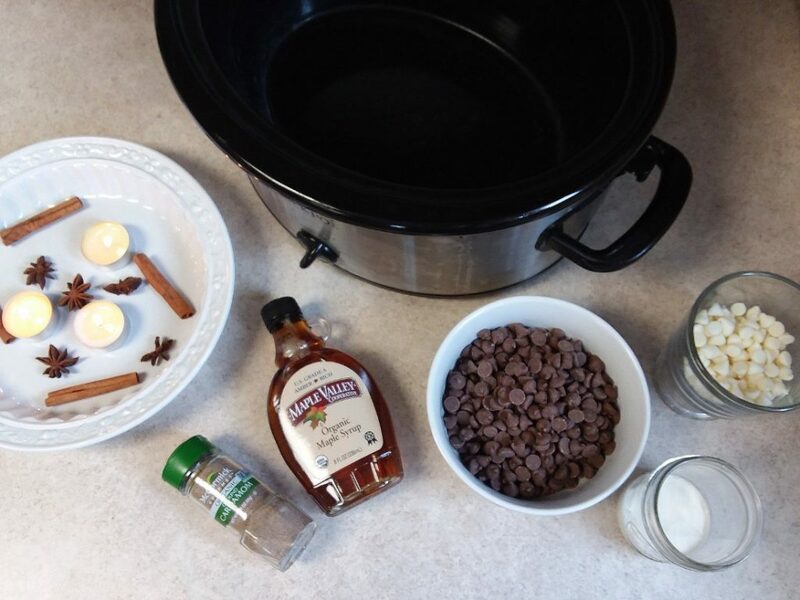 This Crock Pot Maple Spiced Fudge recipe has our mouths watering. It might also be the perfect holiday treat to bring to a get-together. We know we will be doing so for sure! Read on to see how it went for Carolyn and let us know in the comments how it went for you if you try this one out! Carolyn Zick is an enthusiastic local who wears many hats: she’s a small business owner, a maker, a marketer, and (most importantly) a mom to two young creatives who love helping her in the kitchen. 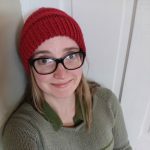 You can find her business exploits at badaxeenterprises.com and her creative endeavors on Instagram at @couleecraft. Hi everyone! I’m Carolyn, a local to Maple Valley’s headquarters in Cashton, WI. When we moved to this area, I was immediately struck by the sheer volume of fresh, local products available year-round in this village. Having an organic maple coop right down the street has only strengthened my obsession with maple lattes. (Really, if you haven’t tried one what are you doing?) However, there is only so much coffee I can drink in a day before I turn into a blur. Cue reading Recipe of the Week like it’s my job. I’m a creative lady, so coming up with clever way to implement a sweet local syrup into my meal planning was right up my alley. 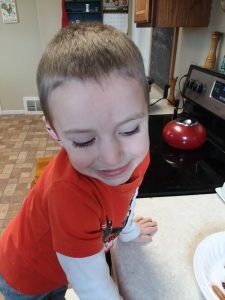 I gravitate towards fun, kid friendly recipes that also happen to be delicious and gluten free. A tall order, but the recipe I’m about to share fits the bill entirely! Yes. Yes. You can make fudge in your crock pot. I’m here to tell you it’s a thing and it’s a revelation. I come from a line of cooks who make a huge production of homemade holiday dessert: cookies, bars, candies, fudge, toffees, pies, brittles, cakes…the list goes on. The hours my ancestors have dedicated to the stove for sweet treats are enumerable. It almost feels wrong to make a dessert this simple. I was inspired by this recipe by Crème de la Crumb and decided to Maple it up. I enlisted the help of my favorite duo, though they were pretty disappointed how little we actually had to do! Milk chocolate chips, white chocolate chips, heavy cream, maple syrup (go for the amber, is has a much deeper flavor), pumpkin pie spice, vanilla, and cardamom. Put your milk chocolate chips into the slow cooker with the maple and cream on high for one hour. (Save the white chocolate chips for later) Don’t remove the lid during this time. After an hour, the mixture will be bubbly and weird. It will almost appear….greasy? I promise, it’s okay!! Mix in the white chocolate chips, vanilla, and spices. Stirstirstirstir with a rubber spatula until it’s melted and well combined. Turn off crock pot. Get out a small glass or metal pan. 8”x8” is plenty! 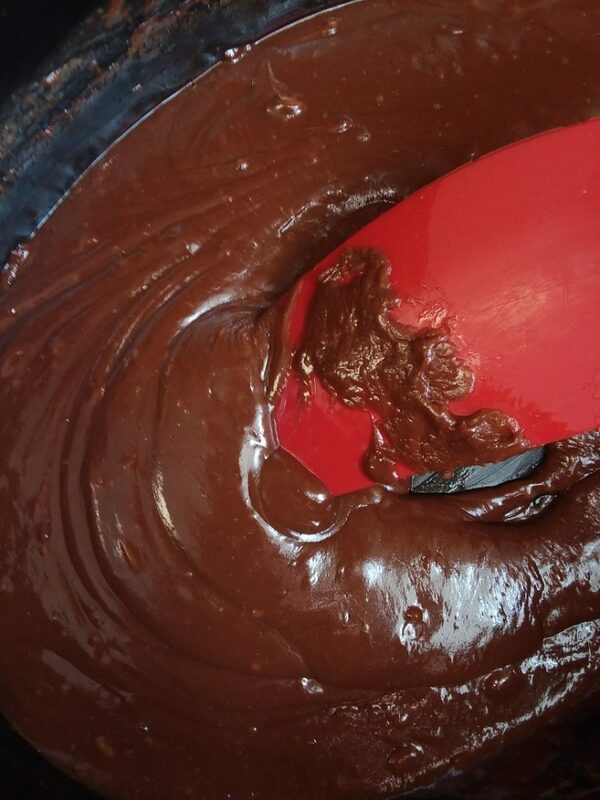 Line the pan with parchment paper and carefully pour the choco-mixture into the lined pan. If desired, dust with more spices or some sea salt. I used the spice method, and I don’t think it made a huge difference. Again, my batch looked greasy and kind of unappetizing at this stage. It’s totally fine if your mixture doesn’t fill the whole pan! Just kind of form it to a generally rectangular shape and pop it in the fridge. Try your hardest to forget it exists for a couple hours. Mine was soft-set after about an hour, and perfectly firm after three. Once the fudge has set, put it on your cutting board and dice it up! My sweet babes became vultures at this point, anxiously waiting to try a piece. I can’t blame them at all because my goodness. 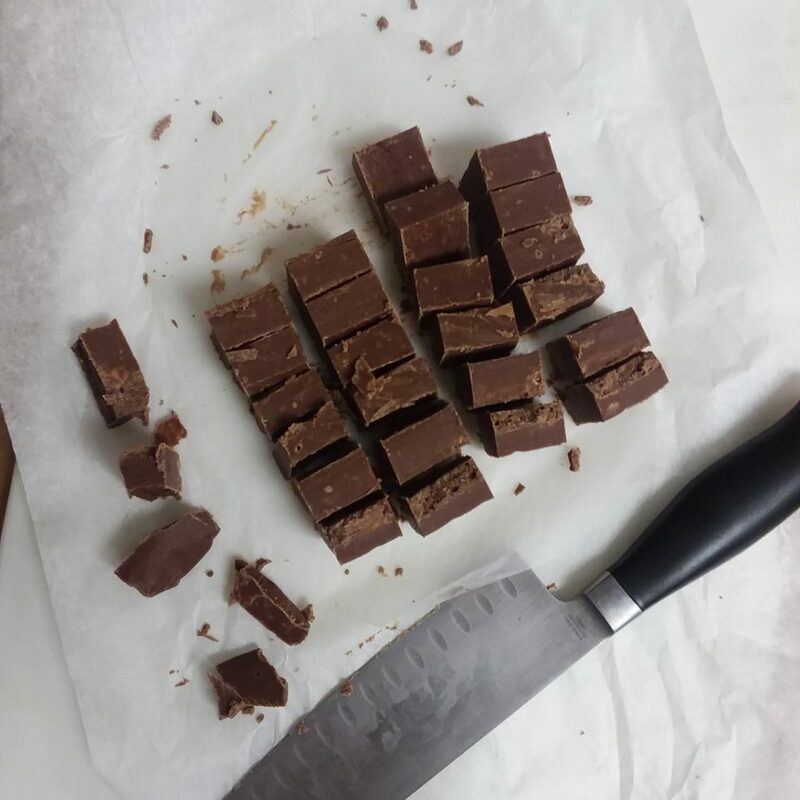 The amber maple syrup gave the fudge an almost mint-intense flavor. That sounds kind of weird, but it’s true. 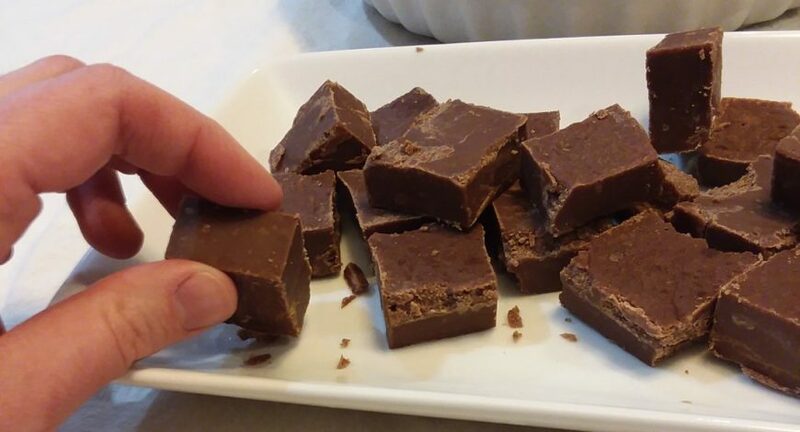 The flavor really shone through and made this fudge sweet and complex! I am p.i.c.k.y. when it comes to sweets, so the fact that this fudge has been in my dreams since I made it really says something. Next time I would attempt to double the recipe. I don’t think any major adjustments would need to be made by way of cooking time, but I’m not sure until I try. I would also add the sea salt on top! It would take it to a whole new level. Hope you guys give this a try at home! There’s no reason not to! Delicious, gluten free, fun and easy. It would make a great gift….if you can tolerate parting with it! Did you try this recipe at home? Let us know in the comments how it went for you! Delicious, gluten free, fun and easy. It would make a great gift….if you can tolerate parting with it! 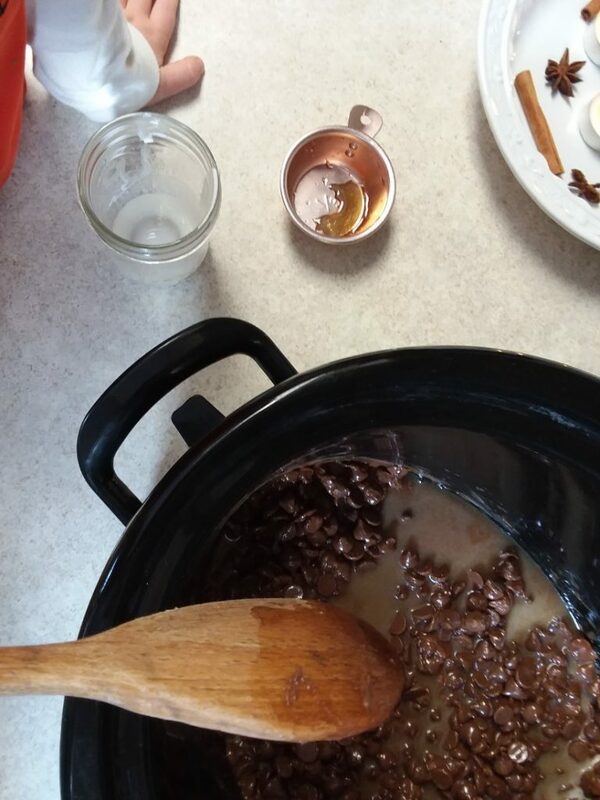 Add milk chocolate chips, heavy whipping cream, and maple syrup to slow cooker. Cover and cook on high for 1 hour (keep the lid on the whole time!). Add white chocolate chips to the slow cooker and stir until the white chocolate melts (you may need to cover and allow it to cook for 10 minutes or so, then stir again). Stir in vanilla and spices. 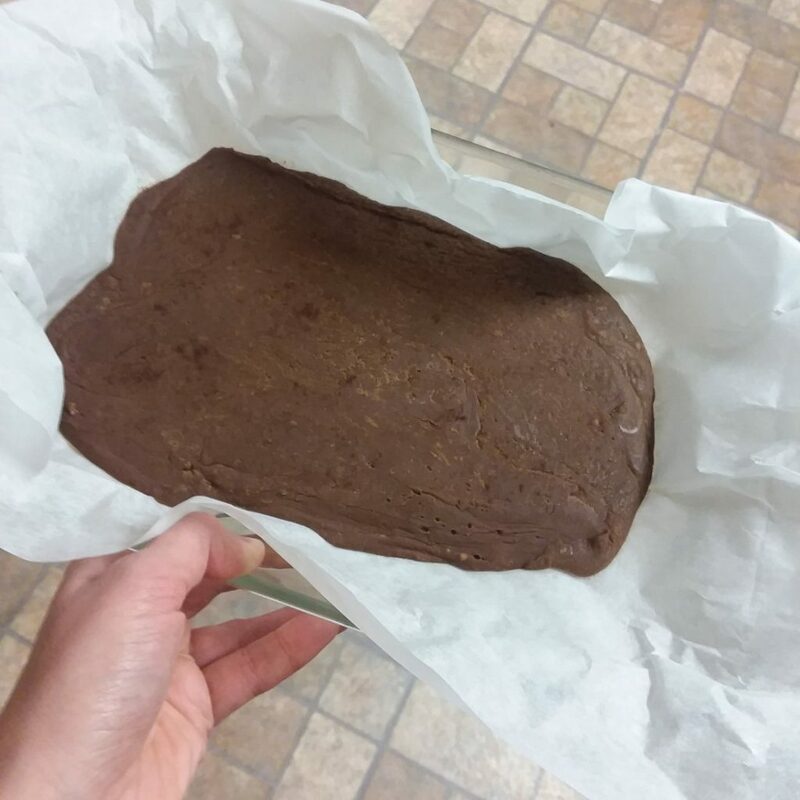 Pour melted chocolate into an 8" x 8" parchment paper lined pan. If desired, sprinkle coarse sea salt or more spices over chocolate. Allow to cool completely (1-3 hours). Cut into squares. Store in airtight container at room temperature. What if I use ALL milk or dark chocolate chips instead of white? What is the purpose of the white chips? Hi Aari, thanks for asking! 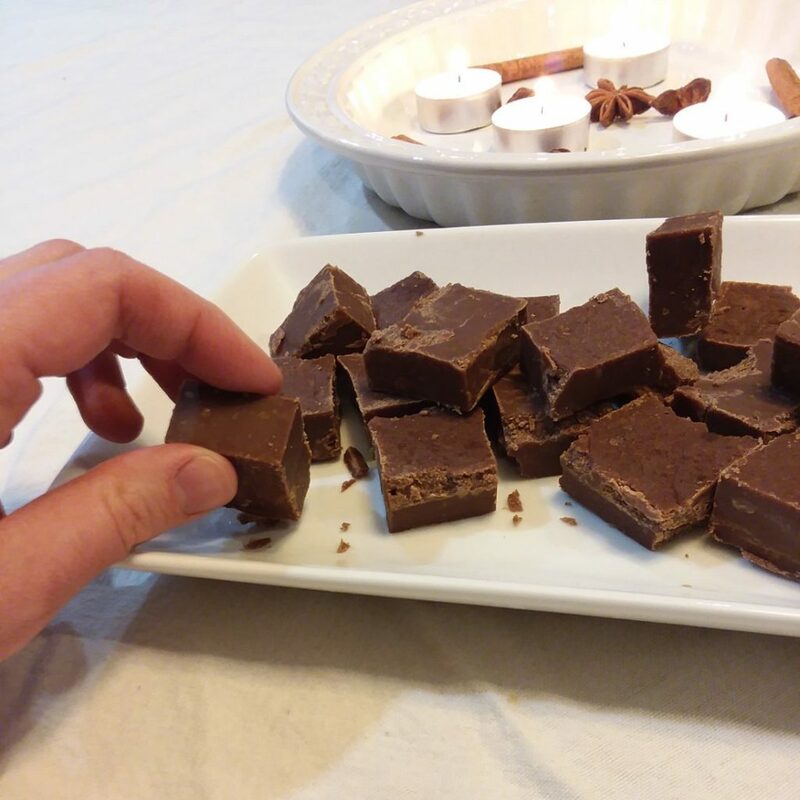 Carolyn said she used the white chips to make the fudge more creamy. She also said she thinks that all milk chocolate chips would work, but that you might not get the right consistency with all dark chips.